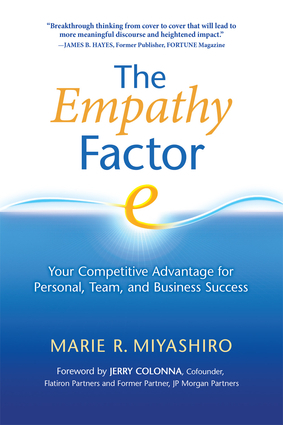 Marie R. Miyashiro is the founder and president of Elucity Network, Inc., an empathy-based consulting and training firm. She has consulted with Fortune 500 companies, small businesses, nonprofits, universities, and government agencies in the United States and Asia. She lives in Tucson, Arizona. Jerry Colonna is a certified professional coach helping clients make changes to their careers to improve their performance and satisfaction. He is a former venture capitalist, cofounded Flatiron Partners, and is a former partner with J.P. Morgan Partners, the private-equity arm of J.P. Morgan Chase. He was named to Upside Magazine’s list of the “100 Most Influential People of the New Economy.” He lives in Port Washington, New York.